With our new spring menu comes a new wine list which sees some of our favourites staying but also the introduction of some fantastic wines from across the world which beautifully complement the new dishes that appear on this season’s menu. A chilled glass of Picpoul de Pinet is the ideal companion to our melt in the mouth trout gravadlax with its citrus overtones and fresh mineral taste whilst the robust flavours of our slow-cooked shoulder and leg of suckling pig with caramelised crackling find their match with a rounded, juicy Pinot Noir. 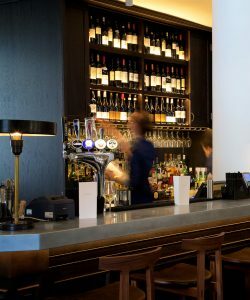 Whatever takes your fancy on our new a la carte menu there is the perfect partner for it on our new wine list.